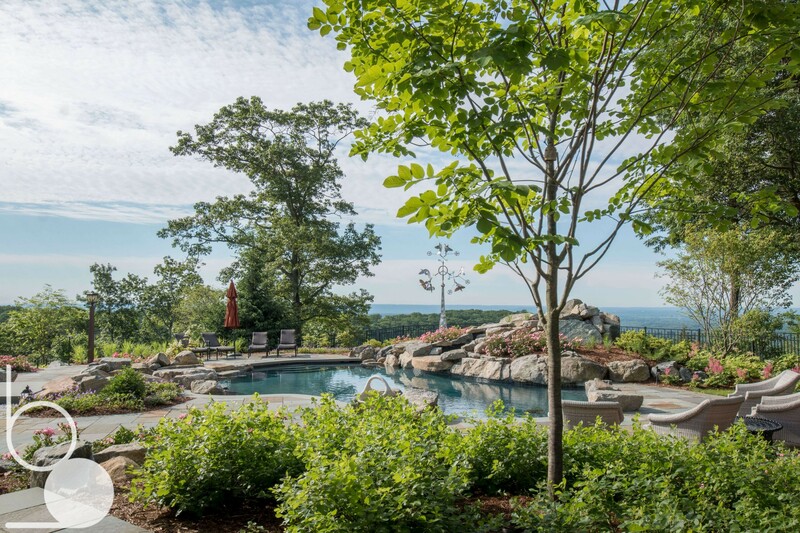 Mountain View - Bosenberg & Co. 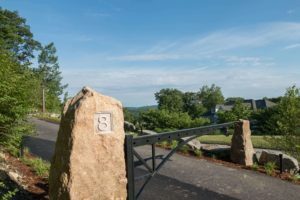 This hilltop site featured outstanding views with New York City visible from the rear of the property. 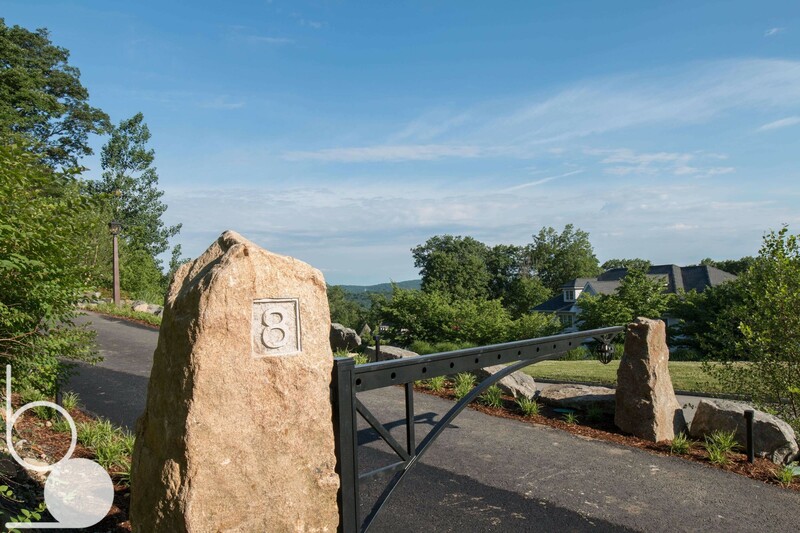 The site was completely renovated from vehicular access and circulation to new outdoor entertaining spaces. 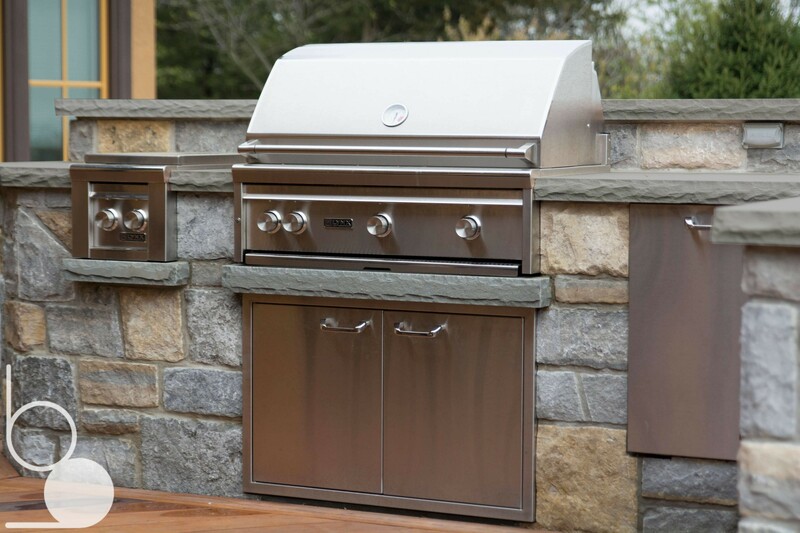 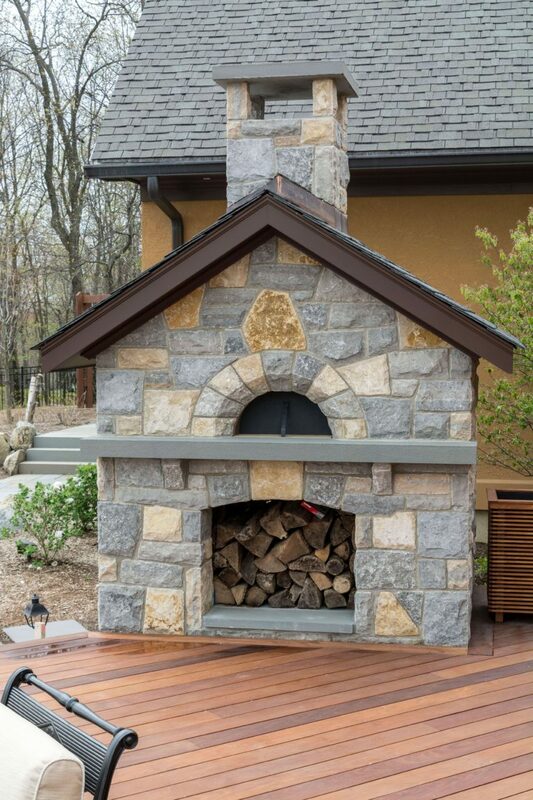 A multi-level deck was designed off the kitchen with seating, a dining area, a grill area and a custom designed pizza oven. 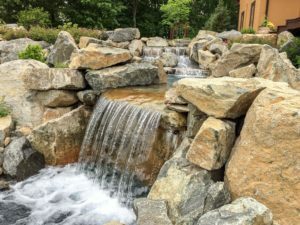 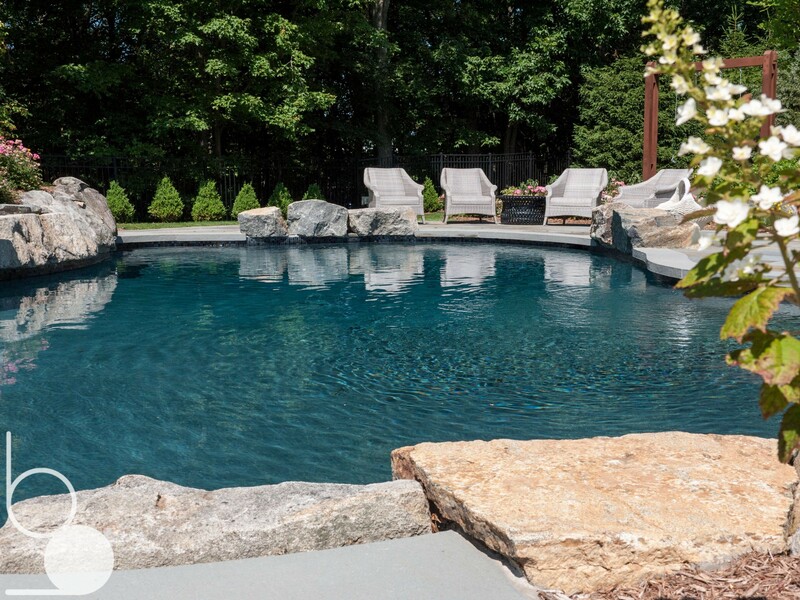 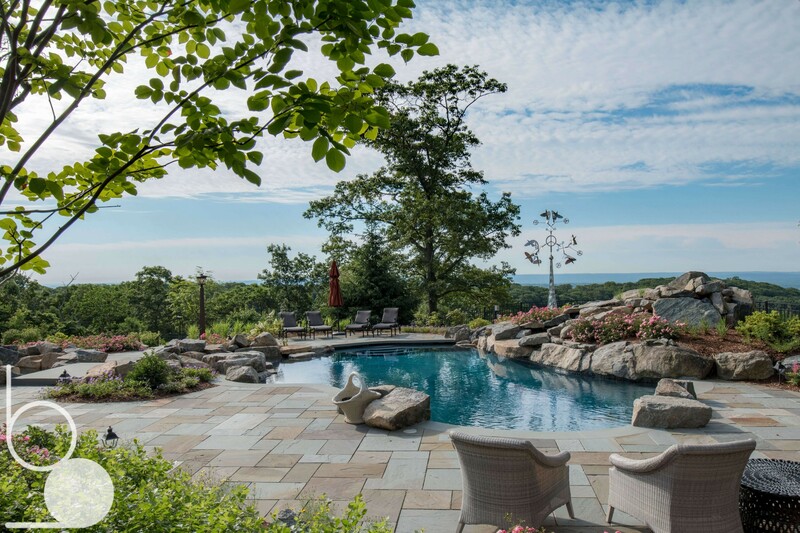 The existing pool was renovated to include a stream and water falls leading down to a lower level pond taking advantage of the existing slope of the site. 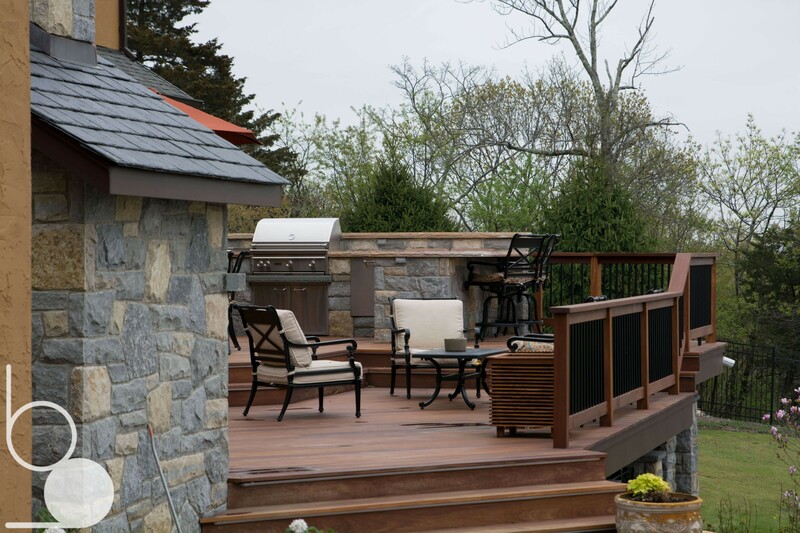 The lower pond created a quite seating area adjacent to the walkout basement doors. 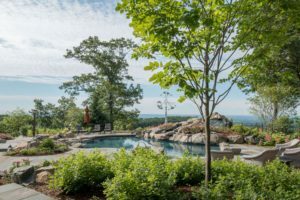 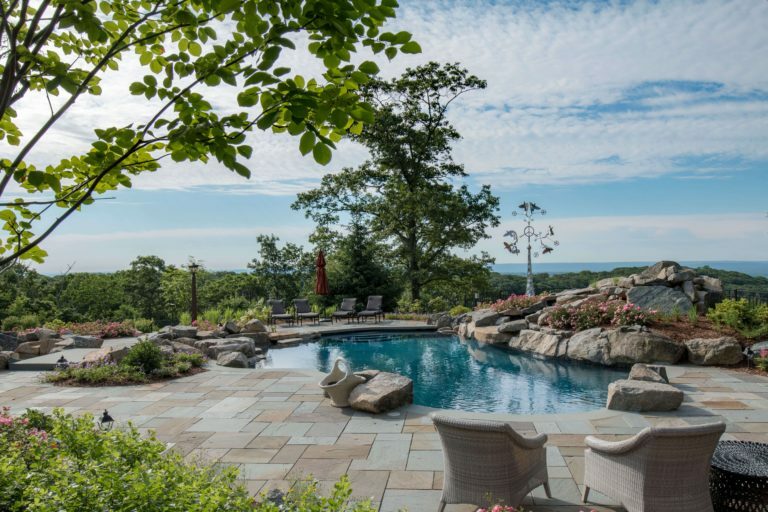 Native stone and boulders were used throughout the design to reflect the character of the site which contains multiple rock outcroppings. 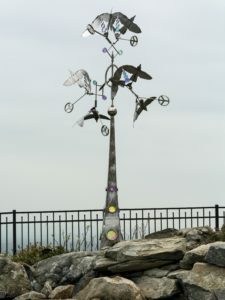 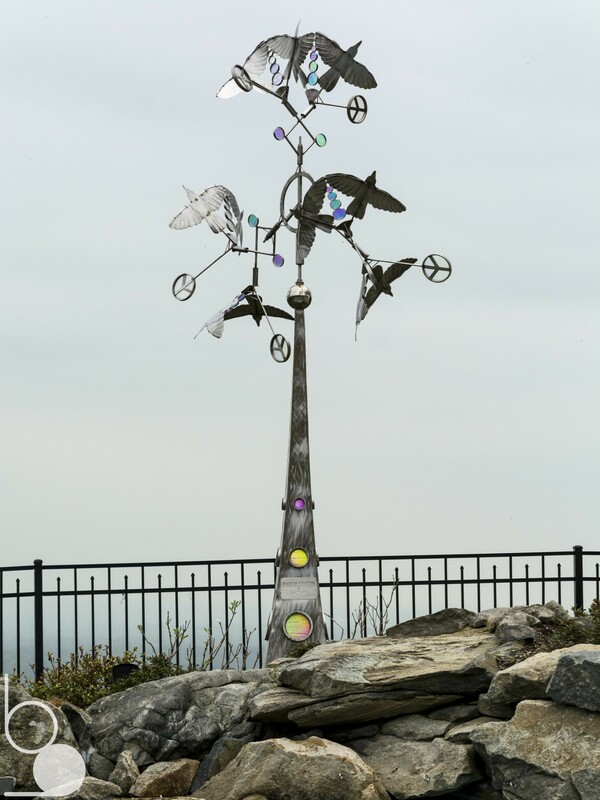 A kinetic sculpture was placed to provide a dynamic focal point and reflect the owner’s artistic qualities.